SKU: WS346-9X12. 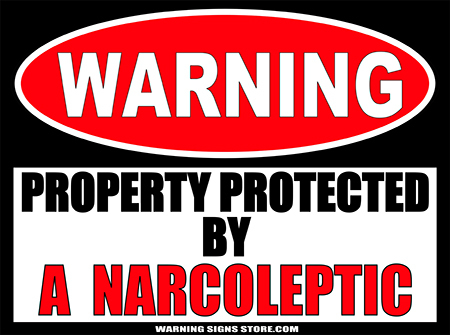 Categories: Children's Favorites, Funny Signs, gaming/geekism, Holidays, Novelty Signs, Warning Signs. 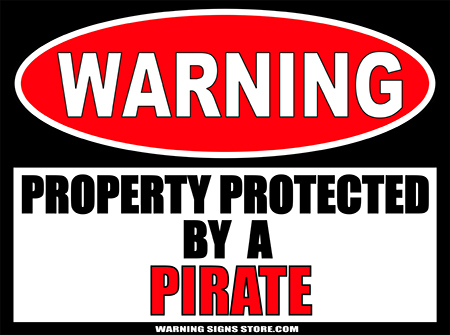 Tags: arrrgh, maritime piracy, piracy, pirate, pirate ship, Warning Signs. Famous Pirates be includin’ Blackbeard, Captain Hook, and Bartholomew Roberts. And don’t ye be forgettin’ Davy Jones! If ye study their history at all you will see that pirates have a history rife in blood and barbarity! Aye, who better to protect yer booty? If ye have some hornswagglin’ bilge rats or scallywags crawlin’ about tryin’ t’get at yer belongin’s, a pirate is the perfect protection. Whether ye be lookin’ to warn off interlopers or just lookin’ to celebrate National Talk Like a Pirate Day, we be havin’ the Warning Sign that ye be needin’. Savvy?